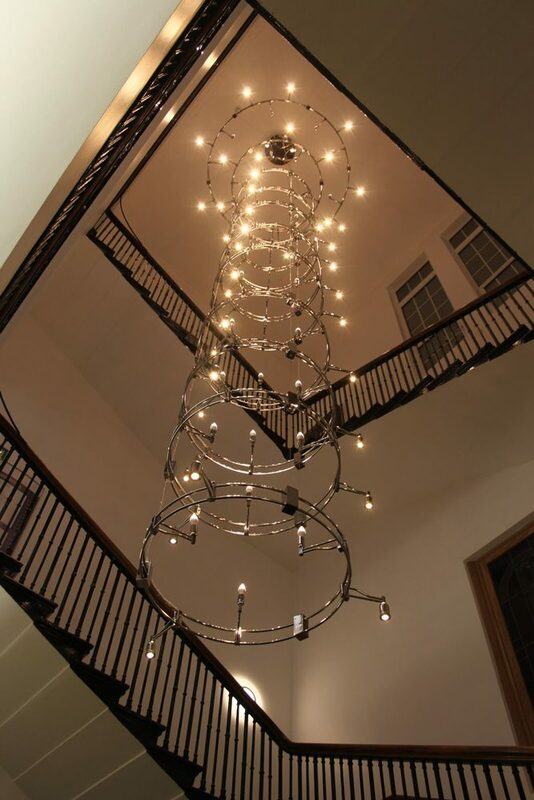 This very large contemporary fitting, designed and manufactured by Madson Black for the Chapel entrance at the Royal Marsden Hospital Chelsea, consists of five double rings on which are mounted both LED uplighters and downlighters. 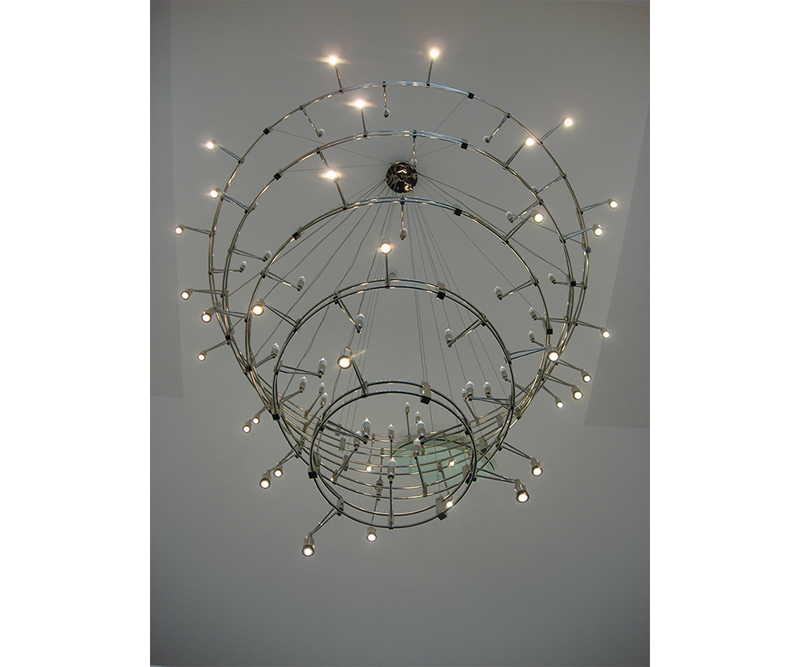 The chandelier has a total height of 7 metres and a diameter of 3 metres and has a polished nickel finish. 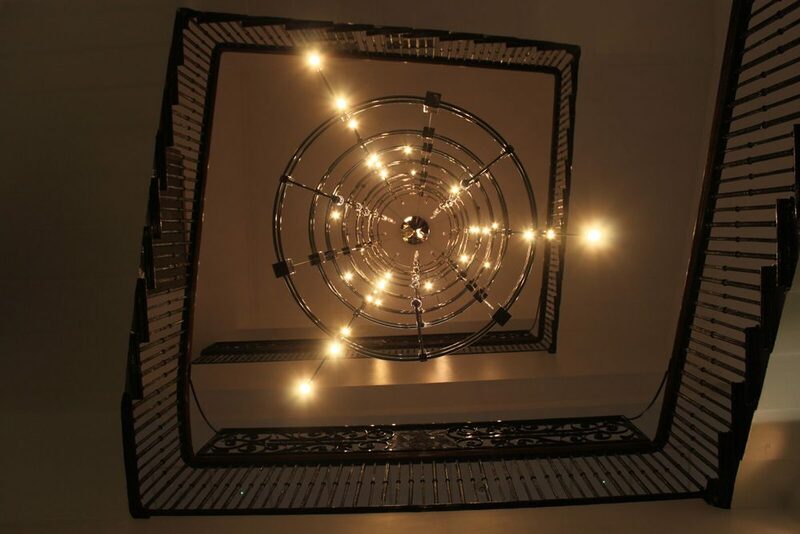 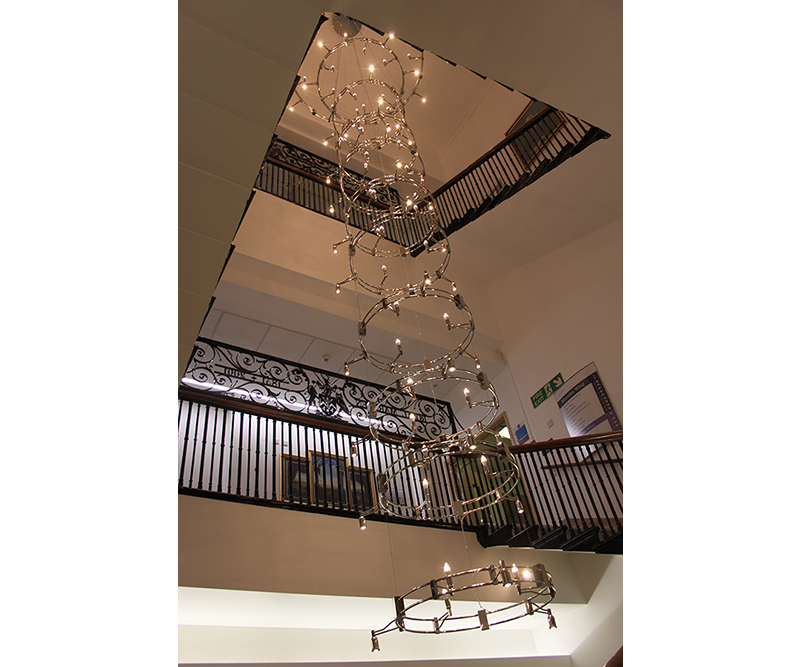 Another bespoke chandelier to be designed, manufactured and installed by Madson Black at the Royal Marsden Hospital, was a pendant 14 metres in height and consisting of eleven rings with both LED uplighters and downlighters.